-simplicity, is the world view of the child or uninformed adult, fully engaged in his own experience and happily unaware of what lies beneath the surface of immediate reality. 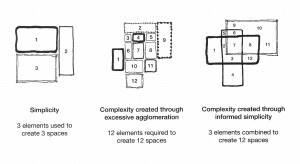 -complexity, characterizes the ordinary adult world view. It is characterized by an awareness of complex system in nature and society but an inability to discern clarifyng patterns and connection. -informed simplicity, is an enlightened view of reality. It is founded upon an ability to dicern or create clarifying patterns within complex mixtures. -agglomerating many unrelated elements without concern for their unity because they are interesting in themselves. 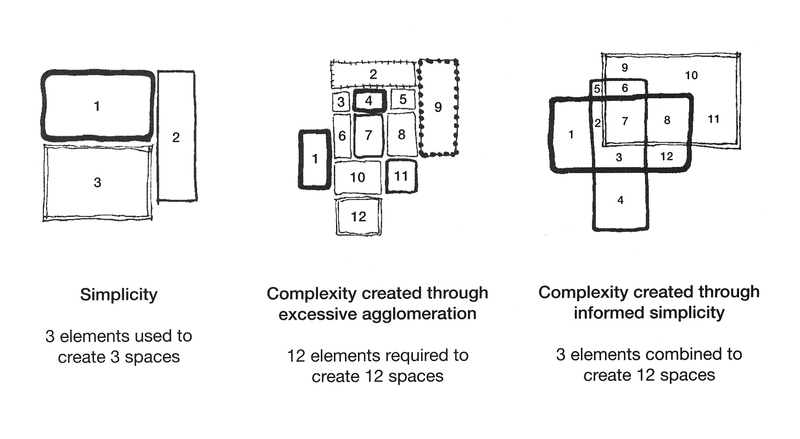 but when you set up complexity there’s need to call it informed simplicity? especially when you confuse complex with complicated?